"The issue is inclusion and cultural competency. At the end of the day, all of us want to belong and matter," said Marlena Edwards, managing director of talent at Huge. 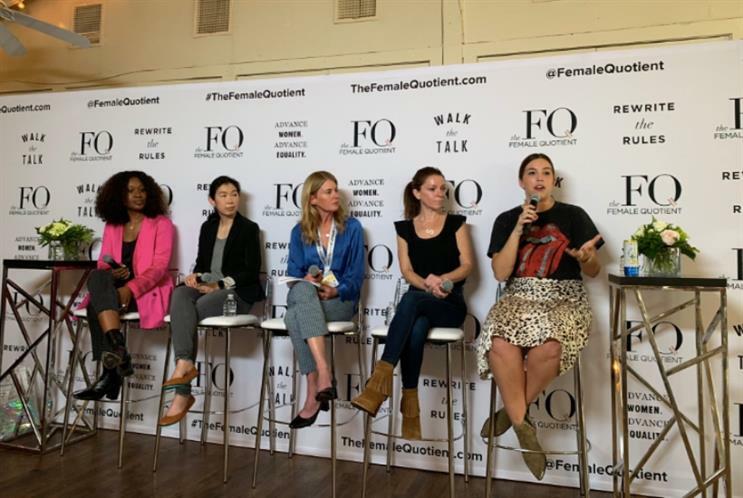 Edwards, who spoke on a panel at The FQ Lounge on Friday during SXSW, was responding to recent statistics showing a major gap between male and female icons or mascots in the U.S. The stats from Geena Davis Institute on Gender in Media - See Jane found that male mascots/icons outnumber females two to one and one in four female mascots represents gender stereotypes. Additionally, only 15 percent of mascots and icons are people of color. Edwards said it’s important for girls and boys to see diversity and inclusion in media at a young age so they can follow the mantra of "If you can see it, you can be it." On the talent side, Edwards said Huge makes sure it hires individuals who understand humanity, listen to other points of view and are culturally competent. Chelsea Phillips, VP of Beyond Beer Brands at Anheuser-Busch, said the conversation at the company about targeting women with new types of alcoholic drinks, like its Spiked Seltzer, was difficult at first. "The decision makers were blind to the opportunity," she said on the panel, adding that the company is now taking many steps in the right direction. Anheuser-Bush has created groups to help the company authentically engage certain communities, like the LGBT community, in order to affect the bottom line. "We just didn’t know and we weren’t talking to those groups appropriately in the past," she said. "Sometimes we just get caught up in thinking we know everything." Google is dedicated to being inclusive in its marketing communications, with 100 percent of its marketing department having gone through "inclusive marketing training," said Sadie Thoma, director of creative partnerships at Google. The tech giant also has inclusive hiring training across the board. Thoma also said she believes the "demo is dead" and that "just because some people are in the same age range and/or skin color or sexual preference doesn’t mean they’re the same people." "We, as marketers, need to recognize that and get deeper audience insights to see what motivates certain individuals and speak to them in ways that are more relevant," she said. Rowena Patrick, VP of campaigns at The Ad Council, said on the panel that the organization’s Girls in Stem program aims to show young girls that science, technology, engineering and math is not just a "boys’ game." "It’s our job to show them" that it’s not boring and that it’s actually really creative and collaborative, touching fields like fashion, music, wearable tech and more. "We have more work to do, but we’re focusing on what’s interesting and sparking a conversation," she said.